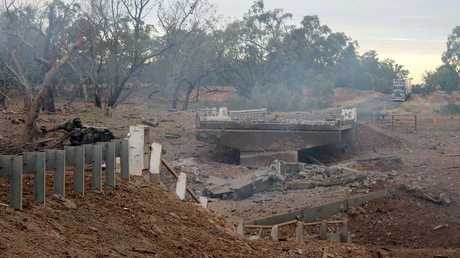 The scene of the Charleville truck explosion in 2014. The blast measured 2.1 on the Richter scale. THE owner of a road train involved in a fiery crash that triggered the largest explosion in Australian transportation history has been slapped with claims it pay the $11.8 million repair bill for damage to the road and railway. 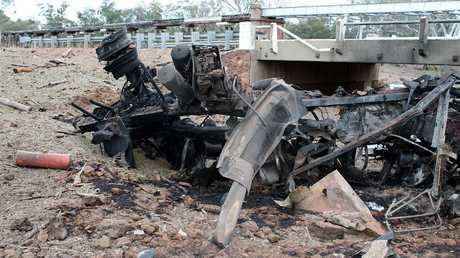 The state's Department of Transport and Main Roads and Queensland Rail have sued Kalari Pty Ltd, the Melbourne-based trucking company that owned the prime mover that exploded after crashing while hauling two semi-trailers and a dolly trailer filled with 53 tonnes of dangerous ammonium nitrate near Charleville on September 5, 2014. Eight people were injured and the truck, two fire trucks, and a police car were destroyed in the second, larger explosion, which was estimated to be the equivalent of detonating 15 tonnes of TNT. The explosive ammonium nitrate was on its way to a mine in South Australia, where it was to be used to make bulk explosives. 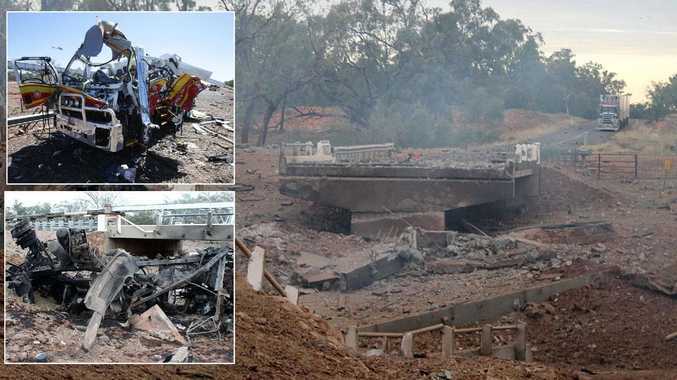 In its Supreme Court claim, the main road department alleges the truck, driven by Tony Eden, caused $7.9 million in damage when it hit a guard rail on an approach to a bridge on the Mitchell Highway between Charleville and Cunnamulla, rolled on its side and exploded at about 9pm. The $7.9 million includes $4.2 million for building a new bridge and $1.8 million to build a sidetrack. 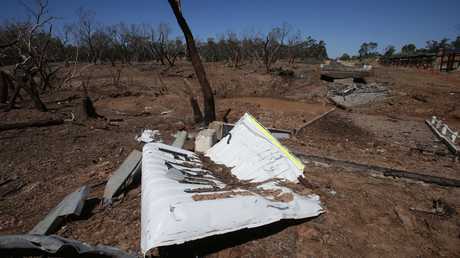 The scene of the Charleville truck explosion in 2014. 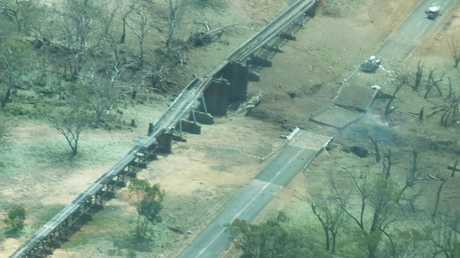 In a separate case being heard at the same time, QR has sued the trucking company and Mr Eden for $3.9 million for the cost of rebuilding a railway bridge that collapsed in the explosion. 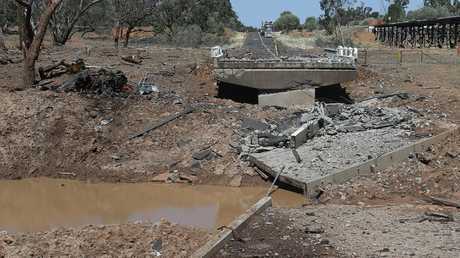 No one was killed but eight people were injured - some seriously - and the truck, two fire trucks, and a police car were destroyed in the second, larger explosion, which was estimated to be the equivalent of detonating 15 tonnes of TNT - larger than any US non-­nuclear weapon used in combat. 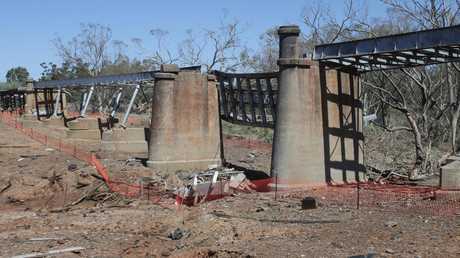 It burned so hot that aluminium and copper at the site melted, and the explosion measured 2.1 on the Richter scale. The State Government alleges Mr Eden - a trucking veteran of 17 years - caused the explosion by failing to drive with care and attention to avoid the crash and by failing to stop, slow down or steer clear to avoid the guard rail. Mr Eden claims his truck caught fire while he was driving along the highway and he could see flames in front of the windscreen. The state alleges Mr Eden did not have at least one hour of rest from when he started work at 8am until when the truck crashed at 9pm, and that Kalari breached its duty of care by failing to maintain the truck, which likely caught alight from a mechanical fault. He veered off the road to get the truck away from other vehicles, driving at night, and so he could get out of the cabin, but he could not see the bridge he hit and did not know there was no hard shoulder on the side of the highway. The state alleges that a "reasonable and prudent driver" would not have steered a road train off the road when they couldn't clearly see ahead. Mr Eden and Kalari deny all of the claims, arguing that the driver "felt fresh and not fatigued, after having a shower" at Charleville, and that investigations by a State Government department concluded that the road train was mechanically sound. Mr Eden and Kalari argue that none of the reports by the Queensland Police Service, Workplace Health and Safety, or the Department of Natural Resources and Mines "make any adverse findings about Mr Eden's compliance with fatigue laws during the journey" or against Kalari. "The damage caused to the roadworks and ancillary works … was not caused by the negligence of either defendant," Kalari and Mr Eden state in their defence. "A reasonable person in the position of either defendant could not have taken any further or greater precautions," they told the court. 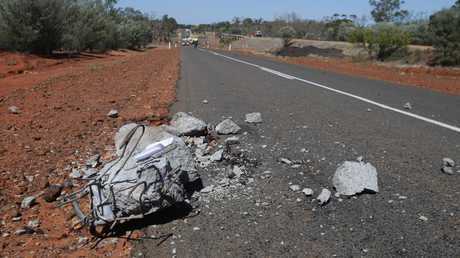 Mr Eden had driven from Gladstone to South Australia carrying the explosives "almost weekly" for seven months before the incident, the court heard. 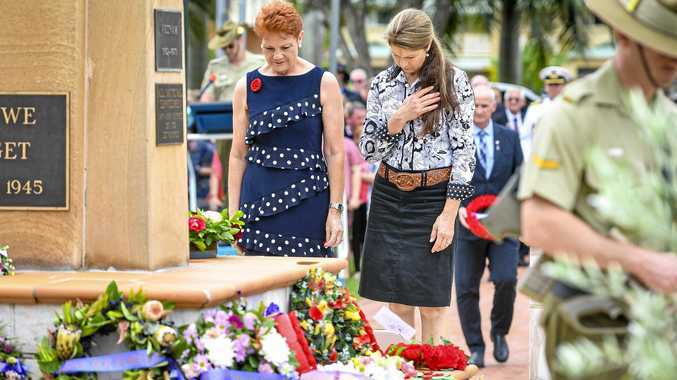 The nearby railway bridge, for which Queensland Rail has also sued Kalari Pty Ltd.
Kalari's public liability insurer, Dornoch Ltd, has refused to indemnify it, a decision the trucking company claims is wrong. Dornoch argues that the incident would not have occurred and the bridge would not have been damaged if "a fatigued" Mr Eden had driven carefully. The court heard Mr Eden started his day at the Gladstone depot and drove to Biloela, where he hitched a second trailer then drove to Roma, where he had a break. The remains of the truck (left) beside the road crater. 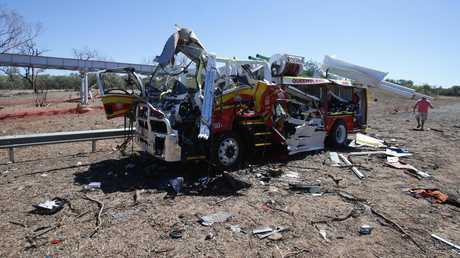 He then drove to Charleville, had a break, and was driving south when he crashed. The two lawsuits are due back in court on January 16, when Dornoch will apply for a ruling that it is not liable to indemnify Kalari, which, the court heard, had a $10 million public liability policy. The parties are due to go to mediation later this year. 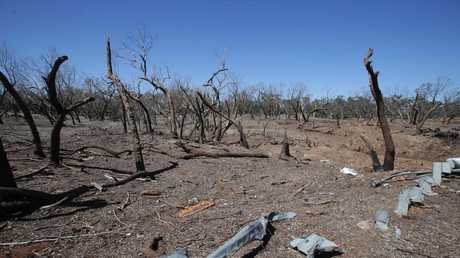 Trees for hundreds of metres around the epicentre were destroyed in the blast, which measured 2.1 on the Richter scale.